Friday night, Woman's volleyball can clinch the regular season Summit title on the road against Oral Roberts in their final match of the regular season. 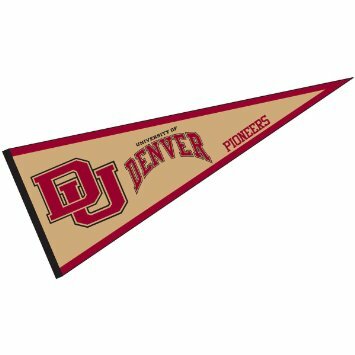 With both DU and UNO sitting with three losses, DU can clinch at least a tie. UNO has two road games remaining so DU still can claim the title outright. The Men's basketball squad hits the road for three games in three days against Milwaukee, Santa Clara, and Lipscom. We'll have an early view of DU's rebuilt squad, especially the new freshmen. Women's basketball season starts in Denver Friday night against Northern Colorado and then, Weber State on Sunday. This is a squad full of optimism and energy but picked to finish near the bottom in the Summit. The men's soccer team hits the field Saturday at 3:00 PM for the Summit League Championship title against Oral Roberts and, ultimately, a home seed for the NCAA playoffs. DU hockey has their first NCHC 2-game weekend road trip to University Minnesota - Duluth. This is a big-time road trip to get a sense of how this team manages a hostile environment. A great weekend result would be a conference regular season championship in volleyball, a conference championship & NCAA bid for men's soccer, at least one win for each of the basketball teams, and a split or better (sweep) with UMD in hockey. The young Pios hoopers were competitive vs Milwaukee until the final minutes in Santa Clara when the game got away from them. Three freshmen led the DU team in scoring - final 71-58.